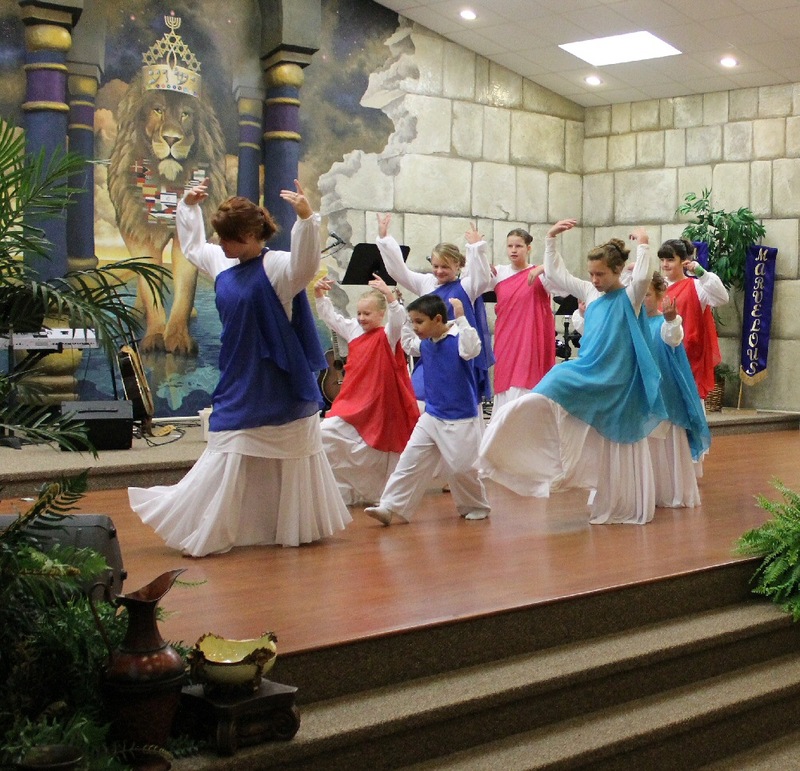 Scripture gives many references to the use of dance as a form of joyous celebration and of reverent worship. In the Hebrew tradition, dance functioned as a medium of prayer and praise, as an expression of joy and reverence, and as a mediator between YHVH and humanity(Taylor 1976:81). In many “Old Testament” biblical allusions to, and descriptions of the dance, there is no disapproval, only affirmation of this medium of worship. The people are exhorted to praise Adonai with ‘dancing, making melody to him with timbrel and lyre’ (Psalm 149:3), and to ‘praise him with timbrel and dance’ (Psalm 150:4). The most frequently used root for the word ‘dance’ in the Hebrew Scriptures is gul which refers to the whirl of the dance and implies highly active movement. Of the 44 words in the Hebrew language for dancing, only in one is there a possible reference to secular movement as distinct from religious dancing (Clarke and Crisp 1981:35). The types of dance used in Israelite society included the circular or round dance, as well as the processional dance. A third type of dance included hopping and whirling movements which were exuberant with joy. At the defeat of Pharaoh’s armies following the crossing of the Red Sea, ‘Miriam, the prophetess, the sister of Aaron, took a timbrel in her hand; and all the women went out after her with timbrels and with dances’ (Exodus 15:20). When David slew Goliath, the women sang ‘to one another in dance’ (1 Samuel 29:5).